Looking for a fun favor for your summertime party? 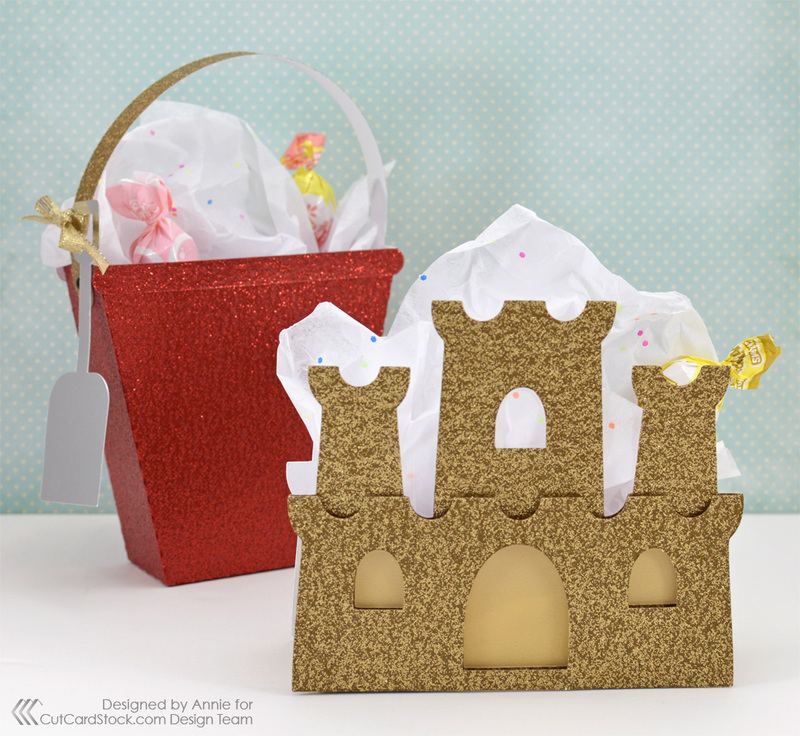 These cute beach-themed treat boxes were easy to make and look great when cut from some of the gorgeous glitter cardstocks from CutCardStock! 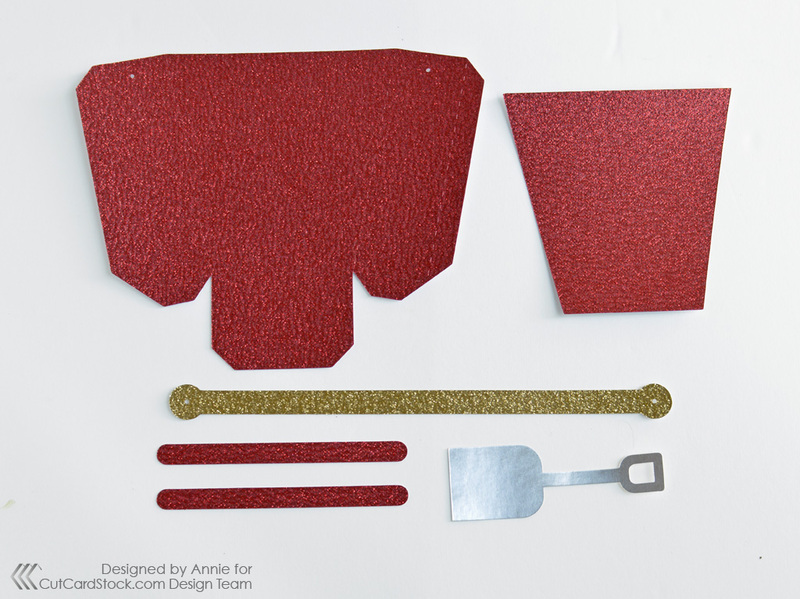 Let's start with the materials. 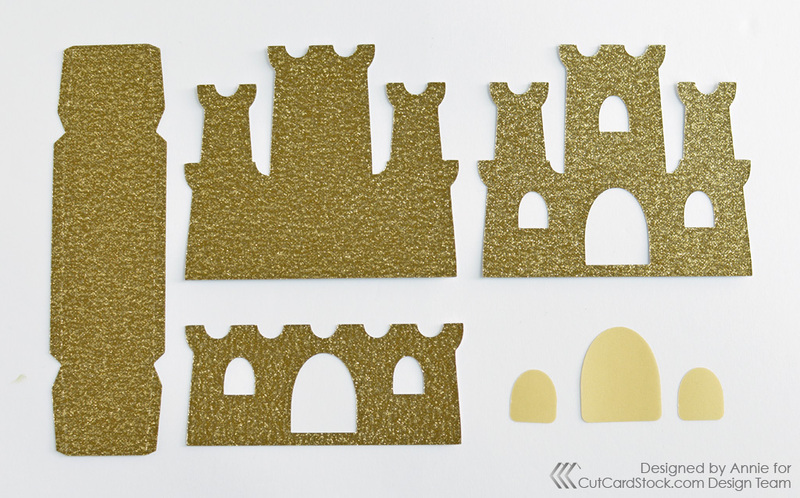 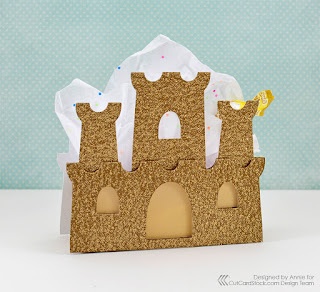 Gold Glitter Cardstock has just the right texture for a sandcastle box and looks amazing paired with the Curious Translucent Iridescent Gold Cardstock for the windows. 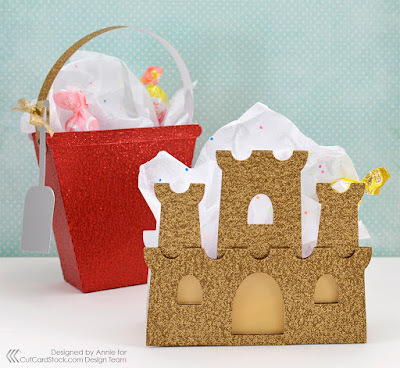 To match the sparkle of the sandcastle, I used Silk Glitter Red Flash Cardstock for the beach pail and added a Silver Bright Foil Cardstock shovel as a tag. 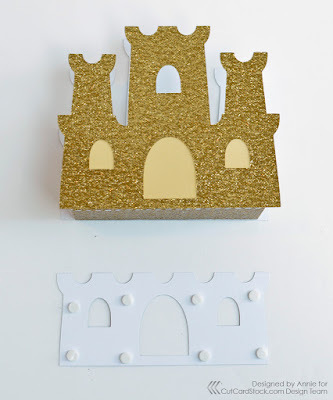 I used my Silhouette and a couple of purchased designs to cut these treat boxes, but you can use a manual die-cutting machine if needed (the glitter cardstock die-cuts beautifully!). 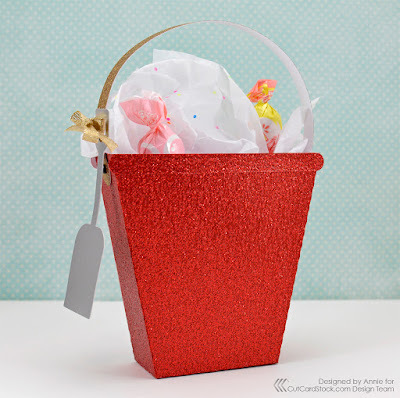 In addition to the red glitter pieces to make the body of my pail, I added a gold glitter handle for some contrast. 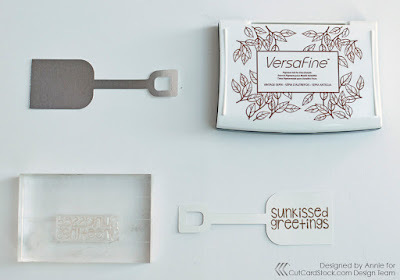 The backside of the Silver Bright Foil Cardstock is a matte white surface, so it can easily be stamped with a greeting like I've done here. 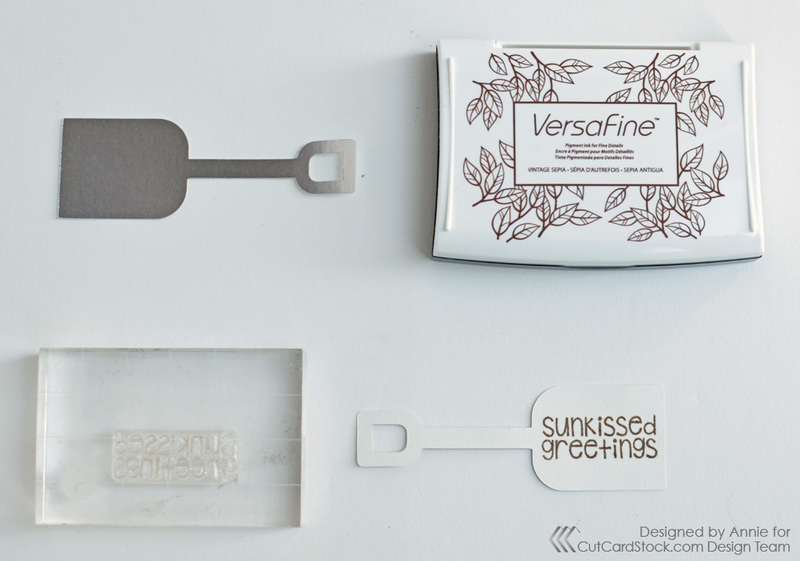 It works great for folded cards and tags. Once assembled, the finished size of my sand pail was about 4" x 4"...perfect for a handful of candies or a small gift! 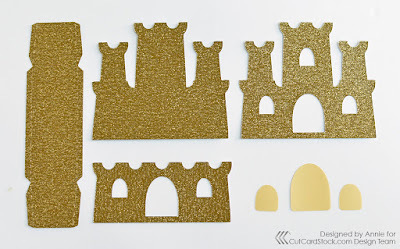 For the sandcastle box, I started by cutting all of the main components from Gold Glitter Cardstock and the window "glass" from Curious Translucent Iridescent Gold Cardstock. 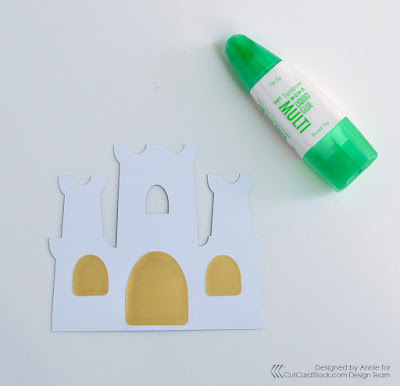 When gluing glitter cardstock to itself not every adhesive will hold securely, so you'll need a very strong adhesive like hot glue or glue dots. 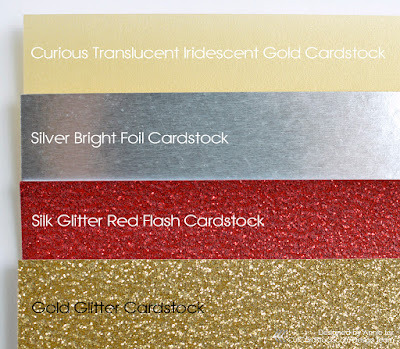 However, the translucent cardstock will easily adhere to the matte white backside of the glitter cardstock with Tombow Mono Multi-Purpose Liquid Glue. Foam tabs are another great choice for adhering components to glitter cardstock with a little dimension. 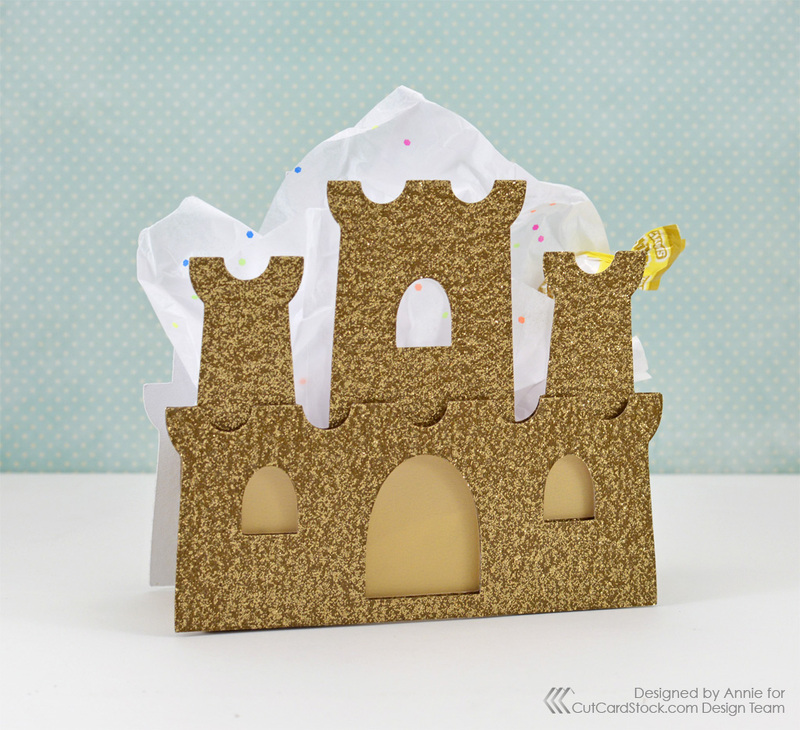 At four inches wide, this sandcastle treat box can hold the same handful of candies or small gift as the beach pail. 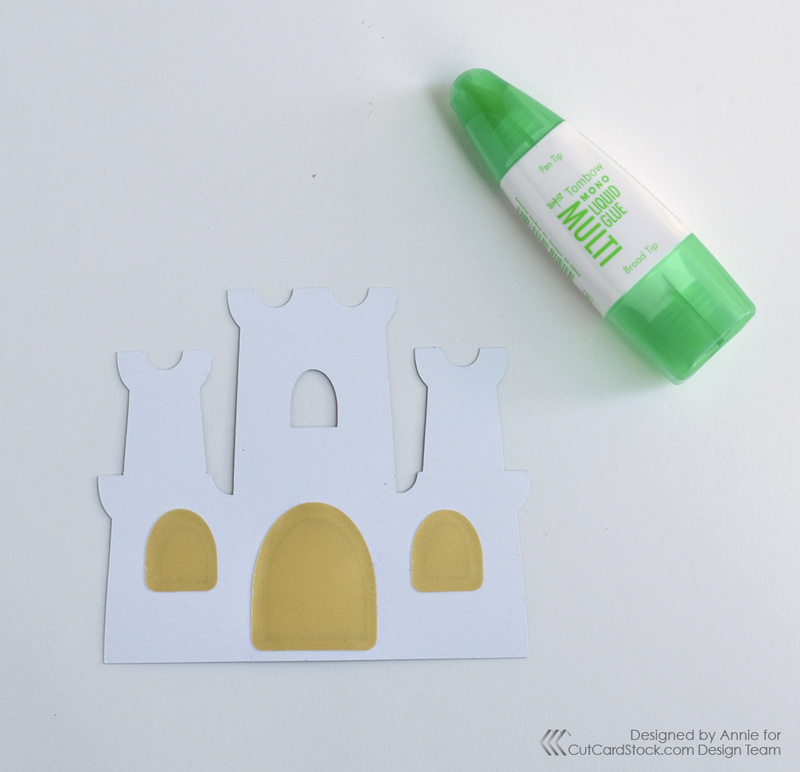 I hope you enjoyed this fun summertime party favor idea and thanks so much for stopping by today! Be sure to visit the CutCardStock store to purchase any of the supplies showcased today and remember that gold and silver cardstocks are on sale this month!